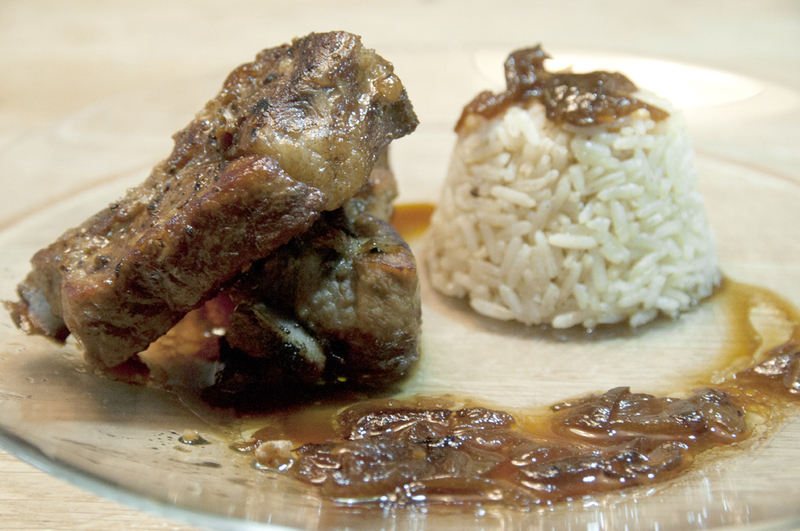 This was inspired by one of my fav chinese ‘zu char’ (casual chinese restaurant dining) dishes – coffee pork ribs. But with a spin using western cooking technique to make it slightly healthier. Lose the fats, not the taste! 9. Season your ribs with a few pinches of salt, pepper, garlic powder and ginger powder. Pork, like chicken is more neutral so you can afford to season it a bit more fearlessly. This entry was posted in MAIN COURSES, MEATS (Butcher's Delights ), RICE (Long, short & medium) and tagged bake, chinese, coffee, oven, pork, recipe, ribs, spiced rice by Whisky Uncle. Bookmark the permalink.